Israel welcomed the United Kingdom decision to completely proscribe the Hezbollah terror organization. The UK’s Home Secretary Sajid Javid announced the decision on Monday, with the support of Foreign Secretary Jeremy Hunt. Until now, the British Government distinguishes between Hezbollah’s military wing, which was banned, and its political wing, which was not. Subject to Parliament’s approval, from Friday when the order comes into effect, being a member, or inviting support for Hezbollah will be a criminal offense, carrying a sentence of up to 10 years’ imprisonment. “My priority as Home Secretary is to protect the British people. As part of this, we identify and ban any terrorist organization which threatens our safety and security, whatever their motivations or ideology which is why I am taking action against several organizations today,” Javid said in a statement. 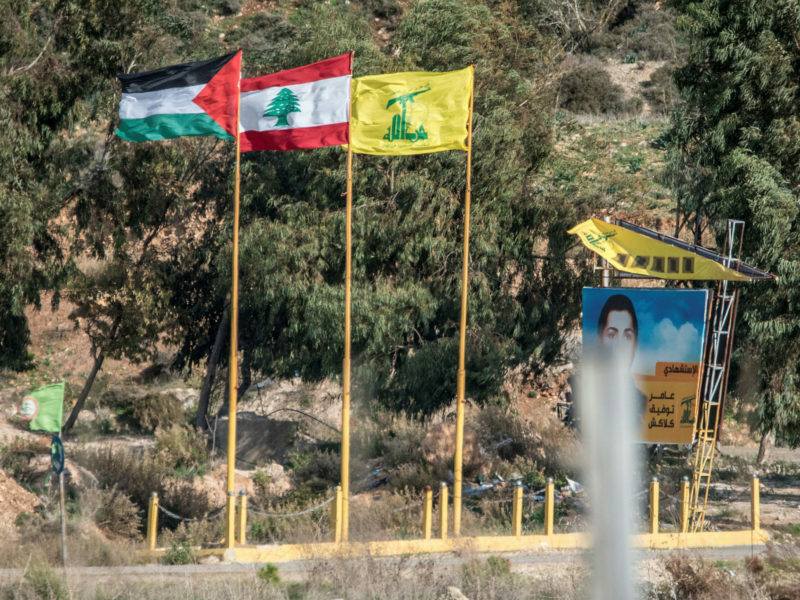 “Hezbollah is continuing in its attempts to destabilize the fragile situation in the Middle East – and we are no longer able to distinguish between their already banned military wing and the political party. Because of this, I have taken the decision to proscribe the group in its entirety,” he added. Ansaroul Islam and Jama’at Nasr al-Islam wal Muslimin (JNIM), another two Islamic terror groups, were likewise banned. Israeli officials welcomed the UK’s dramatic move. Israeli Minister of Public Security and Strategic Affairs Gilad Erdan thanked the UK and “my friend” Javid for deciding to designate all of Hezbollah a terrorist group. Hezbollah was established in 1985 during the Lebanese civil war and is committed to the destruction of the State of Israel. It his funded and supported by Iran. There are currently 74 international terrorist organizations proscribed under the UK’s Terrorism Act 2000, alongside 14 organizations connected to Northern Ireland proscribed under separate legislation.